Japan's growing need to improve its anti-submarine warfare (ASW) capabilities to counter quieter Chinese submarines in littoral waters could set off a three-way race between an upgraded indigenous platform against longer-term solutions, analysts said. The JMSDF is aware that it badly needs to update its capabilities against the emerging threat of more advanced Chinese submarines in shallow waters, local defense analyst Shinichi Kiyotani said, and at least some officers in the JMSDF are looking for something much better than the SH-60 platform, which has several disliked but not openly publicized inadequacies. "The MSDF internally thinks that the SH-60 series is not so good technically any more. It's seen as slow and it suffers from vibration issues, which is a critical point if the MSDF wants more advanced ASW capabilities, and there are other issues," Kiyotani said. "The impetus for this," Caris said, "is likely twofold: One, the increased aggressiveness and continued growth in the PLAN [Chinese People's Liberation Army Navy] sub fleet, [which the US Navy just announced is now bigger than the US sub fleet]; and two, the recognition that while the SH-60J/K is still in production, it is no longer state-of-the-art." 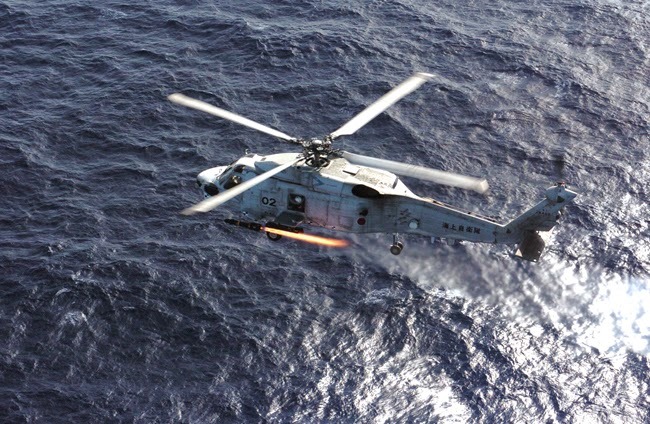 Designed for a deep-water Soviet threat, the SH-60J is essentially a licensed-built 1980s-era SH-60B Seahawk. Its HQS-103 dipping sonar is at least a generation behind state-of-the art systems for detection of threats in littoral waters, Caris said. 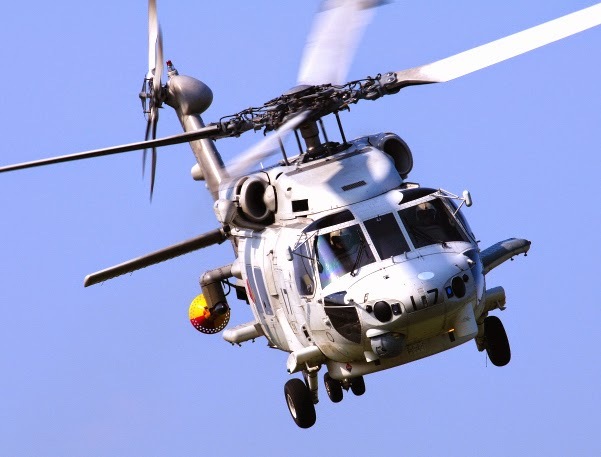 And its electronically scanned radar lacks modern processing capabilities such as found on the MH-60R's automatic radar periscope detection and discrimination system, which is a key part of the US Navy's littoral ASW capability, he said. While the SH-60K upgrade added a new rotorblade and an integrated avionics system, the advanced helicopter combat direction system, none of the basic ASW sensor systems on board was significantly upgraded, he said. With this in mind, Kiyotani said that pressure is building in the JMSDF in particular and the MoD in general to look beyond an SH-60K upgrade. "The MoD is increasingly unwilling to purchase expensive domestic aircraft," he said. "The [Shinzo] Abe administration has asked Japanese defense industry to go global, and the new procurement agency being set up in April is genuinely looking to favor an export drive with local production. From this view, the SH-60K is looked upon by some very important people as a backward step." Added to this, Kiyotani said that MHI was already considering exiting the domestic helicopter market with its small contracts to concentrate on its global aerospace business focused on the highly advanced Mitsubishi regional jet. "MHI may push for an SH-X upgrade on one level, but my sources tell me that senior MHI people want to exit these low-volume and limited domestic contracts and focus on technologies that converge with and focus sales in the global market." 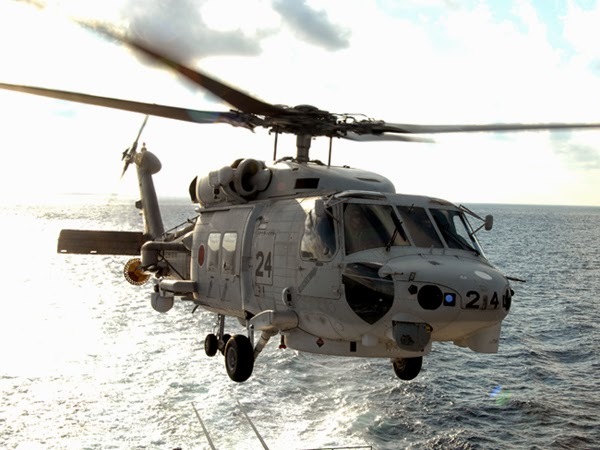 If the JMSDF demands a more fundamental upgrade and the competition is thrown open, Caris said the procurement would probably pit the SH-60K against two later-generation frames in the shape of Lockheed Martin's SH-60R Seahawk or the NH-90 backed by the European Airbus group. Against all this, Kiyotani deemed the NH-90 as the best solution. "It's very advanced, Australia has already adopted it, it has fly-by-wire, has an advanced composite airframe, it's very good and it has a long hovering time. If Japanese industry can produce it domestically, or at least make components, then it can export them," he said.